The language of The Universe is geometry and each number has its own geometry and vibration. 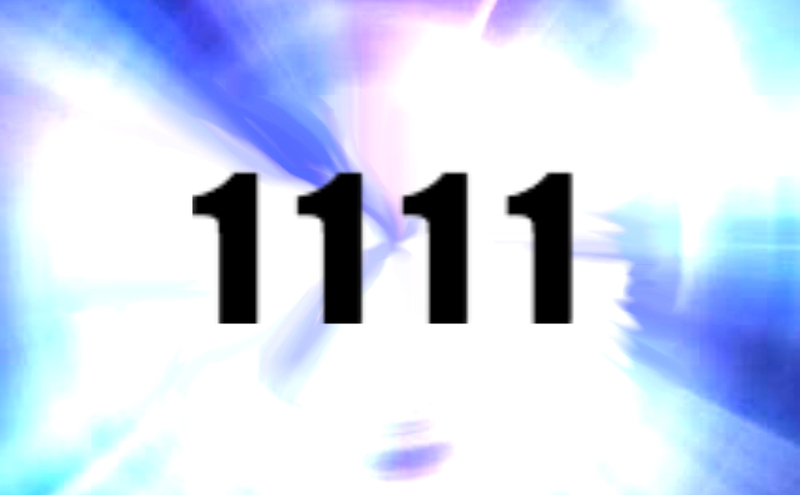 The number 1111 is often referred to as a wake-up call or a code for activation. It’s a sign that you start to follow your purpose and walk the highest path. By itself, the number 1 signifies oneness, unity, independence, self-sufficiency and self-determination. When the number appears four times in a row, that power is magnified four-fold. 4 signifies the 4 pillars of creation, the 4 elements Fire, Earth, Water and Air. In mythology, the sacred geometry of 11:11 signifies the union and Divine circuity of masculine and feminine in perfect balance and connection. Additionally, 11:11 is a vibraional reminder that the past, present, and future are all simultaneously interwoven now, 11:11 reminds you of this Divine interconnected-ness of the One Life Force Energy flowing throughout everything! In numerology, 1111 is often seen as a wake-up call or call for initiation. 11 in numerology is the most intuitive of all numbers, it is associated with awakening, initiation, psychic ability and keeping the faith. With 1111, The Universe is sending a signal that an energy gateway has opened up for you. The Universe has acknowledged you, and wants you to be aware that help is one the way. The Universe only reaches out when you need help, so you’ll likely instinctively know what problem The Universe is attempting to help you with. However, most likely The Universe is trying to remind you to reflect on your purpose for being here. It’s an open invitation to open your heart, raise your vibration and tune into this higher vibrational experience of oneness. It’s a call to raise your vibration, step into your light, and get to work on your life purpose of brightly shining, living as the powerful spiritual being you are, teaching by example and making a difference in the world. When you see 11:11, especially repeatedly, it is a sign from The Universe that you are having a spiritual awakening and opening up to the divine potential that lives within you. Seeing 11:11 is a beautiful reminder that you are aligned with your purpose and destiny and are being supported and guided. November is a highly sacred month in numerology and is considered one of the most meaningful points of the year. This is because November is a number 11 month and in numerology, 11 holds the sacred vibration of creativity, oneness and higher consciousness. In 2017, this energy is going to be further amplified seeing as it is a number 1 year, with the most significant dates being November 1, 10, 11, 28 and 29. Out of all the days in the month, November 11 is going to hold the most potent vibration, as the date 11/11/1, amplifies number 1 energy five times. The entire vibration of November is going to be guiding all of us to awaken to higher levels of existence so we can feel connected aligned with our purpose. With this in mind, we can all use the energy of November 11th to help us co-create the life that we truly want to lead and start living through our true potential. It’s a doorway to align with your Cosmic Purpose and open your heart to the higher levels of consciousness we were meant to rise toward. Use this day to meditate, show love, kindness, and sense your true light deep inside you. Do one thing that leads you closer to following your purpose, no matter how small.